Exit the M6 at Junction 40 and take the A66 Westbound (signposted Keswick). At the first roundabout, take the A592, signposted Ullswater. Follow the A592 along the side of the lake to Patterdale. Continue through Patterdale to Hartsop. Turn left into Hartsop. Follow the road for approximately 400 metres. High Beckside is the 3rd property on the right set back from the road. There is a "High Beckside" sign at gateway. 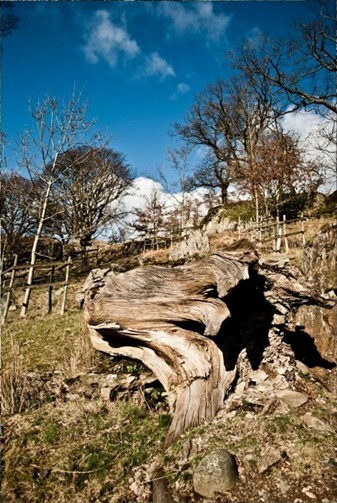 Exit the M6 at Junction 36 and take the A590/A591 Westbound to Windermere. At the mini roundabout, turn right onto the A592, signposted Penrith and Ullswater. This road takes you over Kirkstone Pass, past Brotherswater to Hartsop. Follow the road for approximately 400 metres. High Beckside is the 3rd property on the right set back from the road. 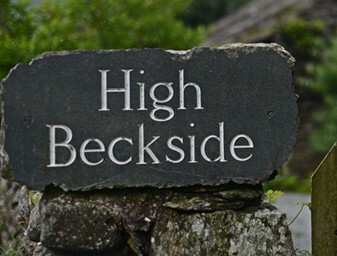 There is a "High Beckside" sign at gateway.